Joe Sansalone is the owner and performance enhancement training director of Optimum Performance Training Institute (OPTI) in Columbia, Maryland. He is part of the FMS staff, a level 2 RKC, Level 1 coach with USAW and holds certifications in the NSCA, ACSM, ACE CPT, CK-FMS and is a 4-Phase Athletes Performance Mentorship graduate. 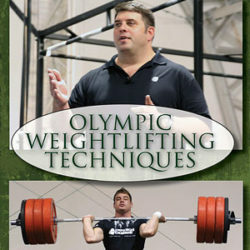 You can catch up with him at theOptimum Performance Training Institute website..